A Exclusive quality silk with Full peacock embroidery. This is a beautiful dress for Ladoo Gopal/ Thakur jee. 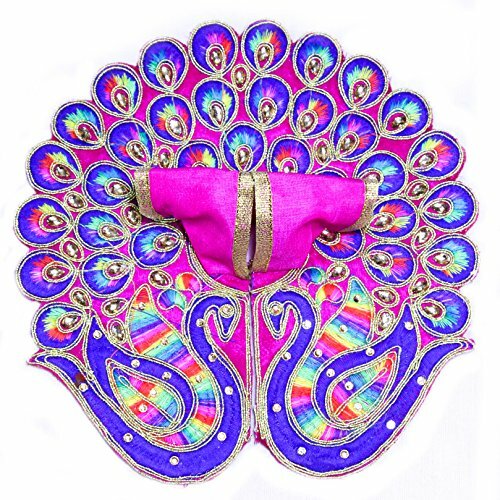 You can purchase The Holy Mart Peacock Mukut mala flute shoes bangles kit for complete Shringar. 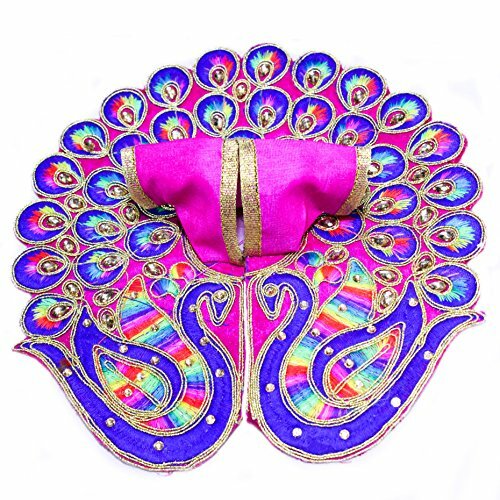 The colours may vary according to the stock available.PRODUCT: A Special Dress for Laddu Gopal ji with beautiful Peacock embroidery. 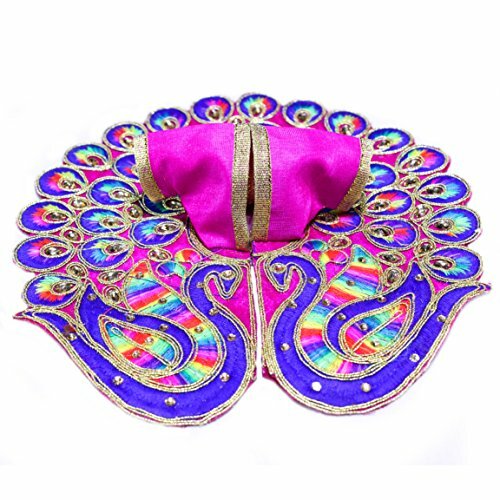 ABOUT: The dress is made in pure silk and have a premium embroidery od peacock in which your Gopal ji will look so beautiful. Special Dress set to offer your devotions, from the house of Brand “The Holy Mart”, Always Serving In Your Spiritual Journey.